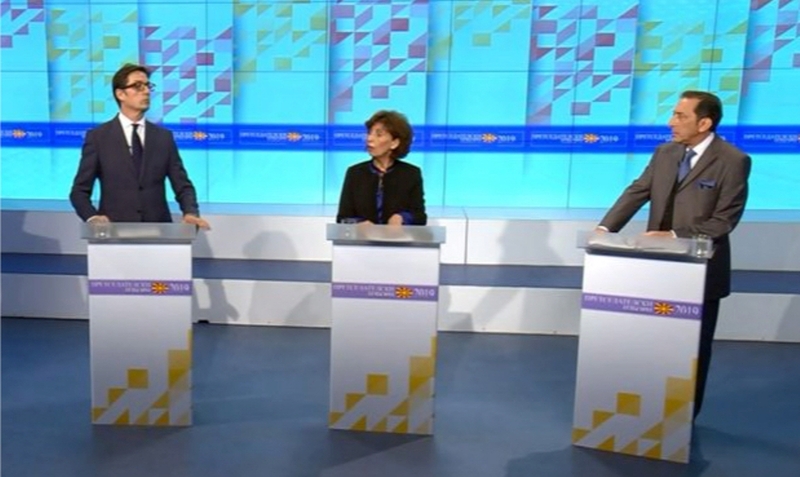 Presidential candidates in North Macedonia held their first debate yesterday and the Prespa agreement was the main topic of this debate. VMRO-DPMNE’s candidate, Gordana Siljanovska-Davkova said that she respects the deal because it’s now incorporated in the country’s Constitution, but she said that she has decided to avoid using the name Republic of North Macedonia. The opposition’s presidential candidate also said that there exist different options on how to change the Prespa agreement. But the government coalition backed candidate, Stevo Pendarovski said that he still cannot understand how his rival would go about changing the deal, which has received strong international guarantees. He said that in theory, the deal can be changed, but on a political point of view, it’s impossible to be changed because NATO is governed by other principles and it’s not interested on the legal aspects of the Prespa agreement. Albanian presidential candidate, Blerim Reka said that this deal is hard to be changed, adding that he fears the deal may only be changed due to political changes in Greece.